Add some Bright Color to your Easter Decor with these Fiber Art Easter Eggs! 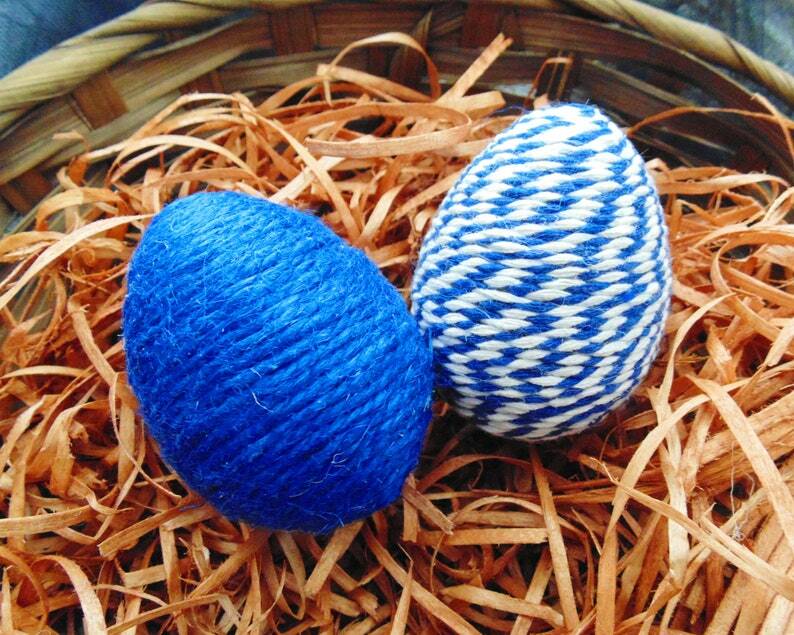 Approximately 3 inches each, this SET OF TWO EGGS are HAND WRAPPED/DECORATED with natural jute and cotton cording. Great for the Kiddos Easter Baskets, as a special gift for loved ones, or even an arrangement of your own! Fill a large bowl or basket along with other Easter treats! Great photo props for your own photos!